Unit Plan Sizes: 1,601-2,192 sq. ft. 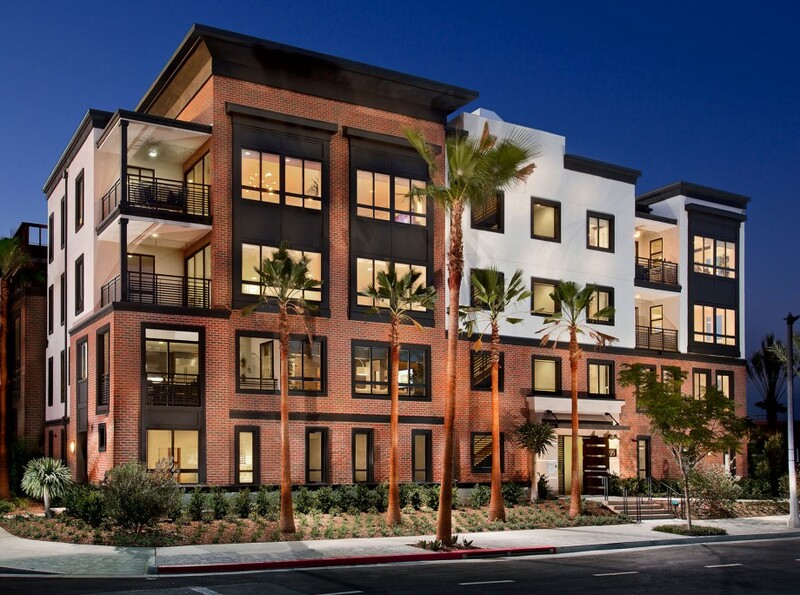 Combining the traditional look of an East Coast brownstone with a beachy West Coast vibe, Camden’s dramatic brick architecture with dark framed windows makes an impressive statement and introduces a fresh type of attached living at Playa Vista. Three new single-level floor plan designs in a four-story, six-plex, each level served by a nearly private elevator, offer high function and low maintenance. Each home has a private garage that connects directly to the lobby, although one home connects directly to its own ground floor entry and fourth bedroom that can be a multi-generational suite for the flat above, or used as a family room or home office. Connected by way of a foyer and internal stair, the resident also has access to the home’s main living floor by way of the building’s elevator. This flexibility of living arrangement truly provides a unique solution for buyers of any age, at any stage of life, and can be used differently as the resident’s need changes over time.